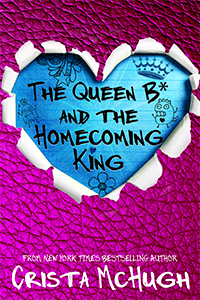 The Best Books Ever: Blog Tour ~ The Queen B* and the Homecoming King (The Queen B* #3) ~Review by Jaime and Giveaway! 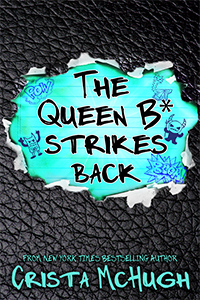 Blog Tour ~ The Queen B* and the Homecoming King (The Queen B* #3) ~Review by Jaime and Giveaway! I have adored this series from the first pages of book 1. 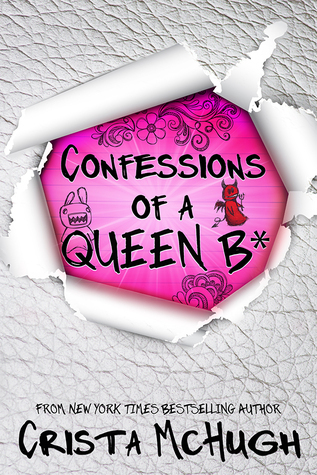 It is a silly, funny, romantic series, with some hard life lessons mixed in. The characters were maybe a little over-the-top, but also believable. The plot was silly, but wonderful in so many ways. 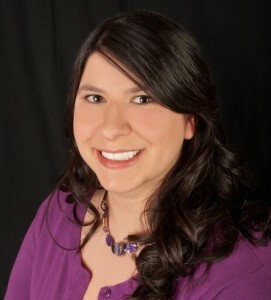 Christa McHugh is an author I know I will be looking out for, just waiting until her next series hits the shelves! In round 3, the final round, Lexi has finally given in to Brett and they are an official couple... with rules. The rules are meant to protect them both, and help Lexi ease into being the girlfriend of the most popular boy in school. But rules are made to be broken, and by the end of the story, rules are made to be thrown out the dang window! Brett and Lexi were just as cute and funny as they have been from the beginning. They have both grown tremendously, thanks to one another, but they are who they are. It is a nice lesson, that you can become a better version of yourself without changing who you are at the core. But when something unexpected and possibly life-changing occurs, will they be able to hold on to each other? And who Lexi is a person who stands up for the people who can't always stand up for themselves. In this round, the person being bullied is one of her best friends Richard. Little notes are being left in his locker, and Lexi is determined to get to the bottom of it, Lexi 2.0 style! Richard is still Richard. Adorable and dorky and quirky. BFF #2 is here too, but not as much. Because of what happened at the end of book 2, Morgan isn't speaking to Lexi. no matter how hard Lexi tries. Finally a truce is called, but the truth is heartbreaking. Thankfully, they all have each other. I genuinely adore this series, mostly because of the amazing characters. But the deeper than first glance plots, the quick pacing and the writing only add to the adoration. This series is smart and fun, and I am so glad that I took a chance on it. Goes to show that stepping outside of your comfort zone can be a pretty awesome thing. SO, I said all of that to say this... Go and grab a copy of the first book and give it a whirl! I think you might just like it! 12/01/2015 - Worth Reading It? 12/12/2015 - Kitty's Book Spot! 12/11/2015 - Kitty's Book Spot!